Here is our reply to the IWG concerning their negative and sectarian response to our proposition for common political work. This had been written directly to the IWG. We now see the weakness of the initial proposition, a weakness not of a political order strictly speaking – we still be believe that the basis of the proposition is correct, but rather it’s the approach that’s at fault. We’d have been better off directing our proposition to the ICT as the international group. This political approach, namely addressing the IWG directly rather than the ICT, has two principle causes: First, we deferred to certain conceptions tending towards a localist perspective. Secondly, from past experience, when we called on the ICT for political questions concerning the IWG, they directed us to deal with the IWG, rejecting their responsibilities as an international and centralized organization. What’s done is done. However, with this reply, we now ask that the ICT intervene in the debate, since the debate has been completely blocked by the IWG, and since our proposition also concerned the ICT and all its territorial sections. Up to now, we haven’t received any feedback. “Camaraderie does not require friendship.” It remains to be seen just how you will apply this principle. We’ll leave it, then, to comrades in the militant political milieu to judge whether our proposal is “delusional”. For our part, this shows vividly that the IWG is currently unable to engage in serious debate on regroupment and political intervention with others from the Communist Left, preferring to say that the dog (referring to Klasbatalo) is rabid and should be put down (no debate or common work, in other words). Then we gather from you that in order to be “practical and materialist”, we must debate with you on the nature of unions, the party and nationalism. A funny order of priorities when we are currently experiencing a massive attack from capital against the working class, which has opened enormous possibilities for communist intervention. Aside from the points on which we agree and on politically convergent positions between our two groups, we must unite particularly on the need for the party, on the rejection of unionism and nationalism, etc. As well, you’re ordering us to remove alleged slander towards you from our blog. Evidently, you can’t specify what you mean, since such slander simply doesn’t exist… There are certainly some texts critical of positions or activities of the IWG on our blog. But these remain critical texts: frank and fraternal. You should know the difference between criticism and slander! Do comrades of the IWG have difficulty in dealing with criticism? This should be useful to you. In declaring that we are conducting alleged smear campaigns and spreading alleged anti-IWG slander, you fail to respond to our critiques and above all have not confronted us politically – moreover, you have never done so, and continue not to. Have you adopted the ICC’s theses on political parasitism toward us, a theory nonetheless rejected by the ICT? 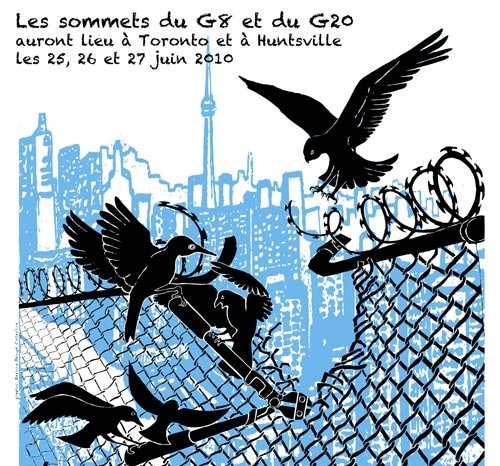 The constitution of the CIM, if you recall, was indeed the result of the departure of IWG sympathizers (Among them was a woman who stopped doing any political work), but this came about not through some crazy pretext, but importantly, among other things, through the IWG’s ambiguous involvement in activities commemorating the death of a Canadian Maoist leader! What would you think if the American IWG were involved in the organization of a commemoration of say Bob Avekian, a former leader of the American Maoists? This phrase, slipped in just after your final clearly written refusal to work with us – what are we to make of it, comrades? So our existence as a group is of no use? That only the IWG's current should exist in North America? Moreover, we should remind you that we’re not the only two communist groups in North America: there is a section of the ICC in the USA as well as a Bordigist PCI comrade in Canada. Sadly, we find that you seem not to agree with the sound principles issued by your British sister organization, but behave to the contrary. Your delegate, in a meeting with two of ours, made it understood that they would be welcome anytime in the IWG so long as the IWG could continue its sectarian code of omertà towards Klasbatalo. The IWG seeks therefore “just to recruit this or that individual for [its] own organization” rather than working “to broaden awareness of what the class struggle really means.” We see in this a clear enough expression of federalism on the part of the ICT: two territorial sections which have completely opposite political positions. The CWO, for one, is for regroupment, while the IWG, on the other hand, is sectarian. Even more problematic, your delegate has long been spreading rumours that one of our militants is an infiltrator. Obviously, your delegate provided no evidence, skillfully using innuendo. This is a dangerous game. We strongly urge you either to provide evidence or apologize for the wrong done to the reputation of our comrade. 3. the sectarian and bureaucratic method. The revolutionary method consists of raising political debate throughout the organization and openly before the proletariat. Based on the differences between the two groups or trends, it tends to elevate the debate and create an atmosphere allowing for a higher awareness of the entire revolutionary movement and class. The second method, that of opportunism, leaving certain things out, ‘letting bygones be bygones’, splitting hairs, obfuscating, and obscuring the essence of debates. We have attempted to remain as faithful as possible to the spirit and application of the first method, while the IWG nimbly juggles the last two. We strongly hope for another response from you, this time a serious and thoughtful one. Bravo for your timely and valuable intervention in the Greek language!